If you have been to the Q on a Sunday in lot A3 you have probably seen the massive tailgate parties Cali Party Bus San Diego throws! For small groups of 10-20, or large groups of up to 500 ppl, Cali Party Bus throws the biggest, loudest, most delicious parties at the Q! Enjoy cold beer on the way to the game, listen to your favorite songs as you ride in style to the game! Catered food choices of BBQ, Mexican, American. Adult beverages (average 10/person) no group has run out! Your Very own DJ to spin crazy music for before the game to get you all pumped up! Our buses all come fully equipped onboard ice chests the perfect makings for the ultimate tailgating event to rival everyone else’s in the parking lot. It’s the perfect start to get the whole group fired up to cheer on the Padres or Charger’s before the game. Once the final whistle blows we are there to take you home after the game safely, or onward to celebrate the big win. All Inclusive packages range from $60-$100/person depending on pick up location, food selection, and number of passengers. We require a 40 person minimum per bus. San Diego Cali Party Bus is your number one transporter for Sports Events taking you around in comfort, luxury and style. 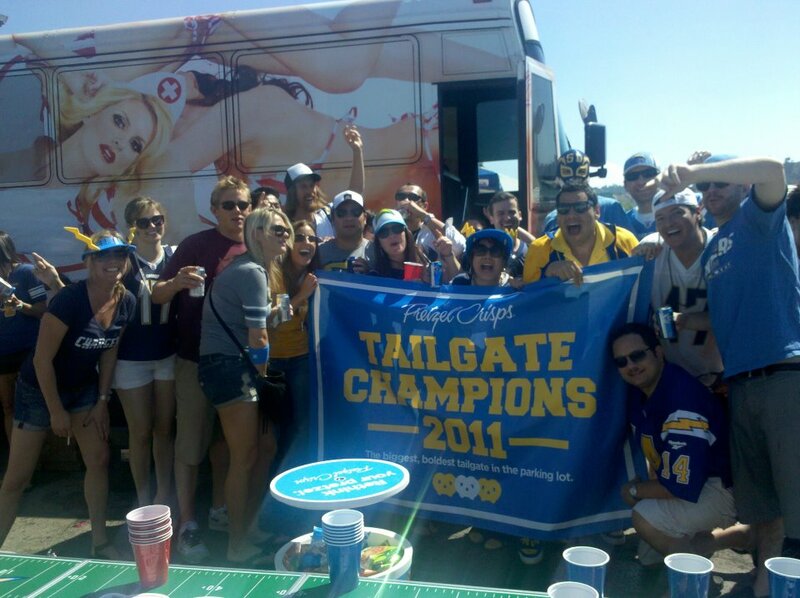 Intimidate the other team when you roll up to the tailgate in one of our Party Buses. So when the next big game is coming up you’ll know whom to call to make your next home game a knock out of the park.